After Saudi Arabia’s crown prince told CBS News last March that, if Iran decides to build a nuclear weapon, “we will follow suit as soon as possible,” opponents of the technology pounced. The controversy was viewed as a potential blow to U.S. efforts to win the contract to build that nation’s first nuclear plant. 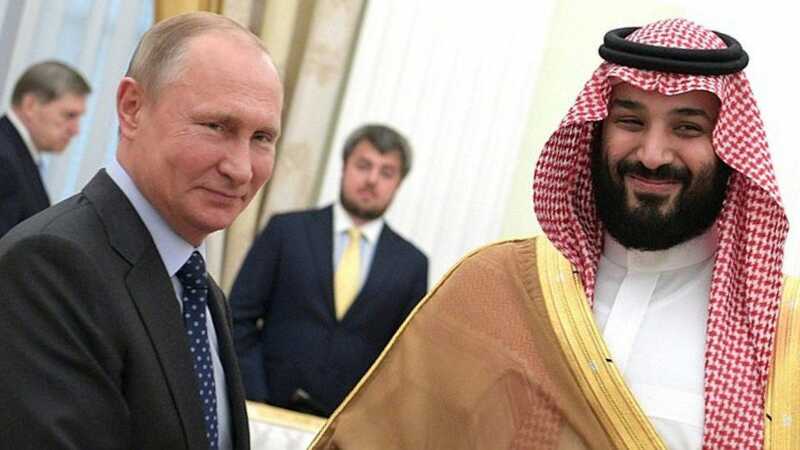 “Saudi Prince’s Nuclear Bomb Comment May Scuttle Reactor Deal,” noted Bloomberg. In truth, no nation decides to get a nuclear weapon simply because they have nuclear power plants, and the fuel used in nuclear plants is not enriched enough to make a weapon. But under the rules of the 1968 Non-Proliferation Treaty, nations are allowed to have facilities to enrich uranium, and extract plutonium from spent fuel, which could be used to build a weapon. „The idea of Saudi Arabia having a nuclear program with the ability to enrich is a major national security concern,“ said the Republican chair of the House Foreign Affairs Subcommittee on the Middle East and North Africa. Using enrichment or reprocessing facilities to create weapons-grade materials would require expelling international inspectors and risking trade sanctions — or worse. In 1981 and 2007, for instance, Iraq and Syria, respectively, suffered bombing attacks carried out by Israel on their nuclear facilities. But when push comes to shove, nations that feel they need a weapon will take those risks. “North Korea has provided the blueprint,” Vipin Narang, a professor of political science and nuclear weapons expert at Massachusetts Institute of Technology (M.I.T.) told me. Since its birth in the 1950s, the nuclear industry and scientific community have stressed the separateness of energy production and weapons. But recent statements by Middle Eastern leaders have thrust the connections — technical, workforce, and motivational — into the limelight. Of the 26 nations around the world that are building or are committed to build nuclear power plants, 23 have a weapon, had a weapon, or have shown interest in acquiring a weapon, according to a new Environmental Progress analysis. Bangladesh has shown interest in developing weapons latency in the past and currently has a nuclear plant under construction. Brazil is seeking to a multipurpose reactor, has in the past sought a weapon, and “will leave the door open to developing nuclear weapons“ according to a new Stratfor analysis. This trend fits the historic pattern. In the 60 years of civilian nuclear power, at least 20 nations* sought nuclear power at least in part to give themselves the option of creating a nuclear weapon. Of the other nations building nuclear plants, seven have weapons (France, U.S., Britain, China, Russia, India and Pakistan), two had weapons as part of the Soviet Union (Ukraine and Belarus), and one (Slovakia) was part of a nation (Czechoslovakia) that sought a weapon. Poland, Hungary, and Finland are the only three nations (of the 26) for which we could find no evidence of “weapons latency” as a motivation. While those 23 nations clearly have motives other than national security for pursuing nuclear energy, gaining weapons latency appears to be the difference-maker. The flip side also appears true: nations that lack a need for weapons latency often decide not to build nuclear power plants, which can be more difficult and expensive than fossil fueled ones. Recently, Vietnam and South Africa, neither of which face a significant security threat, decided against building nuclear plants and opted instead for burning more coal, despite suffering from air pollution and professing concern for climate change. In 2015, two scholars at Texas A&M university, Matthew Fuhrmann and Benjamin Tkach, set out to answer two questions: how many nations have the ability to build a weapon? And what impact does nuclear weapons “latency” have on war? A growing body of research had found that latency deters against military attacks, Fuhrmann and Tkach noted. But with Israel and U.S. threatening pre-emptive action against Iran, could latency also be a threat to peace? Fuhrmann and Tkach found that 31 nations had the capacity to enrich uranium or reprocess plutonium, and that 71 percent of them created that capacity to give themselves weapons latency. Nuclear isn’t the first energy technology whose adoption was driven by national security. Before World War I, the British Navy switched to petroleum-powered ships that could travel twice as far, emit less smoke (that potential enemies could see), and refuel more quickly than coal-powered ones. And today’s efficient natural gas turbines exist in large part thanks to decades of military procurement of jet turbines. Every past energy transition has followed the same progression. The new fuel, whether coal, oil, natural gas, or uranium, starts out as a premium product more expensive than the incumbent and comes down in price over time. After over 60 years of national security driving nuclear power into the international system, we can now add “preventing war” to the list of nuclear energy’s superior characteristics. Both are neutral nations outside of NATO that had a very deep interest in weapons and a program through the 1960s. Today they are championed as nonproliferation nations, but both militaries were very interested in having the basis for a nuclear weapons program if necessary. Both used nuclear energy to explore those options. Before Iran, Narang notes, the nation most famous for nuclear weapons hedging was Japan. After six decades of peaceful nuclear power, it’s an open secret that Japan has created enough plutonium to create 6,000 bombs — as well as an excellent rocket program. That doesn’t mean nuclear power is a sure thing in nations with nuclear weapons. France officially pledged under its last government to sharply reduce its reliance on nuclear power. But then President Emmanuel Macron explicitly said late last year that he would not carry out the policy. Japan, which lacks a weapon, closed all of its nuclear reactors after the 2011 Fukushima panic and intends to restart just two-thirds of them. At the same time, it has shown no interest in giving up its weapons latency, with its plutonium program continuing. U.S. nuclear plants are closing prematurely but mostly not because of explicitly anti-nuclear actions by political leaders. Rather, they are closing due to unusually cheap natural gas and heavily-subsidized renewables. The only two U.S. states forcing the closure of nuclear plants, California and New York, also had the strongest nuclear disarmament movements. And, notably, every single nation with a nuclear weapon is building nuclear power plants with the sole exception of Israel and North Korea. Experts believe Israel does not want nuclear plants because it would require acknowledging its nuclear weapons, and accepting inspectors, while stiff trade sanctions prevent North Korea from building nuclear power plants. As a lifelong peace activist and pro-nuclear environmentalist, I almost fell out of my chair when I discovered the paper by Fuhrmann and Tkach. All that most nations will need to deter military threats is nuclear power — a bomb isn’t even required? Why in the world, I wondered, is this fact not being promoted as one of nuclear power’s many benefits? The answer is that the nuclear industry and scientific community have tried, since Atoms for Peace began 65 years ago, to downplay any connection between the two — and for an understandable reason: they don’t want the public to associate nuclear power plants with nuclear war. But in seeking to deny the connection between nuclear power and nuclear weapons, the nuclear community today finds itself in the increasingly untenable position of having to deny these real world connections — of motivations and means — between the two. Worse, in denying the connection between energy and weapons, the nuclear community reinforces the widespread belief that nuclear weapons have made the world a more dangerous place when the opposite is the case. 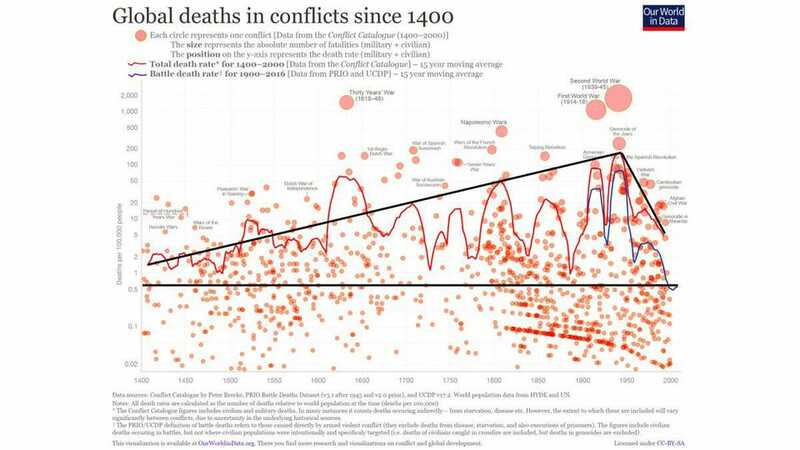 From 1400 to 1945, deaths from war rose steadily before beginning a remarkable and rapid decline that continues to this day. And while various efforts are made to deny the role of deterrence, the fact is that between 1945 to 1989, two great nations, the U.S. and U.S.S.R., with diametrically opposed interests and ideologies, and their most important allies, avoided full-scale war. The same dynamic repeated itself with India and Pakistan. Before they acquired the bomb, they had three full-scale wars. After the bomb, zero. 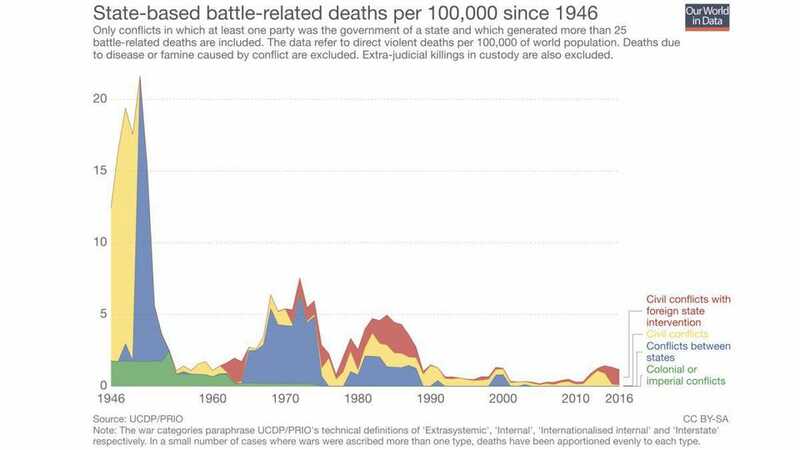 Nuclear weapons don’t eliminate military conflicts but they greatly reduce their death tolls. 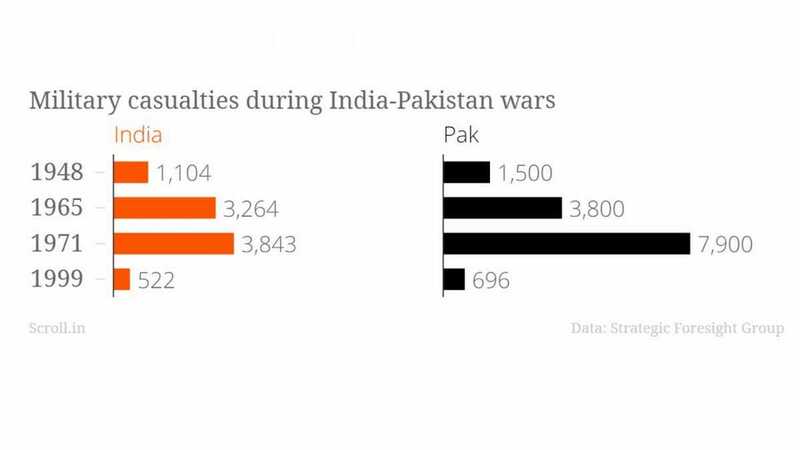 The death toll from the third war between India and Pakistan to their border skirmish known as the Kargil “war” declined 90 percent, from 11,743 to 1,218. One of the many dark fantasies about nuclear weapons is that if one were used anywhere it would lead to full-scale nuclear war everywhere. And yet the most likely use of one would be tactical — against invading troops. Pakistan might say, “If we use our own nukes, on our own territory, in the desert, against an Indian strike corps, we haven’t given them justification to use nuclear against our cities,” notes Narang. In other words, while there is in fact a real-world relationship between nuclear energy and weapons, the relationship between weapons and the widely-feared nuclear apocalypse, or even a return to wars as brutal as World War II, is entirely imaginary — the stuff of movies, novels, and scenarios. In the real world, nuclear weapons have only been used to end or prevent war — a remarkable record for the world’s most dangerous objects. Nuclear energy, without a doubt, is spreading and will continue to spread around the world, largely with national security as a motivation. The question is whether the nuclear industry will, alongside anti-nuclear activists, persist in stigmatizing weapons latency as a nuclear power “bug” rather than tout it as the epochal, peace-making feature it is. With more than 650,000 active personnel, Pakistan’s military is the world’s sixth-largest. It possesses the world’s fifth-largest nuclear arsenal, as well as a “triad” of delivery systems that can strike from land, sea and air. The main reason the military wants to keep a firm grip on decision-making is due to fears of Pakistan’s archrival, India. India has recently acquired $6.5 billion in new military hardware, plus Russia’s S-400 missile defense system. As the concerns over India intensify, the military’s grip on political power tightens. Nabil cited a 2014 incident in which the Taliban carried out a massacre at a school in Peshawar, Pakistan. Immediately afterward, Pakistan’s Atomic Energy Commission sent an urgent letter to the nation’s Strategic Plans Division, which is in charge of protecting the county’s nuclear weapons. The letter urged the division to devote more funding and effort to monitoring all personnel with knowledge of the nation’s nuclear weapons. “This letter, which has been kept secret until now, reveals just how concerned some Pakistani officials are—and how worried the rest of the world should be,” Nabil wrote. Pakistan is the world’s fifth-most populous nation, with 207 million inhabitants. It is also one of the world’s youngest countries, with a staggering 64 percent of its total population below age 30. And 29 percent of the total population (58 million people) is between the ages of 15 and 29. The Pentagon says it is stopping $300 million in aid to Pakistan for counterterrorism efforts, after it deemed that the country isn’t meeting its demands for decisive action against terrorist groups operating within its borders. Earlier this year, the State Department said it was withholding security funding to the country that could be reinstated if it were determined that Pakistan was making progress on ridding itself of terrorists that have been fighting a 17-year war in Afghanistan. The Pentagon now says it has decided to cut off Coalition Support Funds that reimburse Pakistan for its efforts at combating terrorism. “Due to a lack of Pakistani decisive actions in support of the South Asia Strategy, the remaining $300 [million] was reprogrammed,” Pentagon spokesman Lt. Col. Kone Faulkner said Sept. 1. The funds will be allocated to “other urgent priorities,” he said. Faulkner said the plan will be submitted to Congress and, if approved, will bring the total of Coalition Support Funds that have been cut to $800 million since early this year. Pakistan has received more than $33 billion in U.S. assistance in the past 16 years, including more than $14 billion in Coalition Support Funds. A Pakistani official, speaking on the condition of anonymity, said he was unaware of a formal notification of the U.S. decision on assistance, but said one was expected by the end of September. Pakistan, a majority Muslim nation, has had a rocky relationship with its southeast neighbor India and has been a focus of the United States since the al-Qaeda terrorist group carried out the 9/11 attacks on the Pentagon and World Trade Center in 2001. The United States also accuses it of harboring Taliban terrorists that are trying to destabilize the Afghani government, which Pakistan denies. Last August, Trump announced a new strategy for South Asia focused on eliminating terrorism in Afghanistan and Pakistan. The strategy takes aim at Pakistan’s nuclear weapons, which the United States fears could fall into the hands of terrorists. The Taliban reacted to the new strategy by threatening to make Afghanistan a “graveyard” for U.S. soldiers. Afghanistan’s leadership was buoyant, applauding the president’s commitment to counterterrorism in the region. “I am grateful to President Trump and the American people for this affirmation of support for our efforts to achieve self-reliance and for our joint effort to rid the region of the threat of terrorism,” Afghan President Ashraf Ghani said in a statement after Trump’s speech. The United States has tried to get Pakistan to root out all of the terrorist organizations within its borders that are destabilizing the region, not just those that pose a threat to the Pakistani government. Several weeks after the July victory of Prime Minister Imran Khan’s party, Secretary of State Mike Pompeo called to wish him success and urge him to take “decisive action against all terrorists.” Pakistan claimed that terrorism was never discussed, and asked the State Department to make a correction in its readout of the call. The State Department declined. Secretary of State Mike Pompeo and U.S. Marine Corps Gen. Joseph Dunford are planning to visit the region in a few days, stopping first in India and then flying to Islamabad, where they are expected to discuss security. “And to make very clear what we have to do, all of our nations, in meeting our common foe, the terrorists,” Secretary of Defense Jim Mattis said on Aug. 28. The issue of the cut funding could be a sticking point, at least on the semantics of the term “aid.” Pakistan responded to the news that the United States would be stopping Coalition Support Funds by saying that it was using its own money to counter terrorism in the region. “It is not a cut in any [U.S.] aid, it is not assistance. This is our own money which we have used for improving regional security situation and they had to reimburse it to us,” Foreign Minister Shah Mehmood Qureshi told reporters Sept. 2 in Islamabad, according to Voice of America. Previous administrations have tried similar approaches to get Pakistan to comply with U.S. aims for security in the region. This time may be different, however, as new Khan has said he seeks “mutually beneficial” relations with the United States. Pakistan’s foreign exchange reserves have plummeted over the past year and the country will soon have to decide whether to seek a bailout from the International Monetary Fund (IMF) or from friendly nations such as China. The United States has the largest share of votes at the IMF. “[The United States is] squeezing them when they know that they’re vulnerable and it is probably a signal about what to expect should Pakistan come to the IMF for a loan,” Sameer Lalwani, co-director of the South Asia program at the Stimson Center think tank in Washington.